Cannes, France (12 March 2019) - Today, the MIPIM AR Future Projects Awards has announced Taikoo Li Qiantan as its winner of the Shopping Centers Category for 2019. Hosted by the international real estate investment conference and exhibition MIPIM, in collaboration with The Architectural Review magazine, the awards program recognizes excellence in unbuilt architectural and urban design projects worldwide. Since its inception in 2002, the awards have become one of the most influential programs at MIPIM. Over 200 architects, developers, clients, consulting engineers and the AR Editorial Team will gather in Cannes, France on March 13th to honour all winners in a prestigious black-tie program following a full day of MIPIM events. Winners in attendance will be receiving their award from a dedicated team at Architectural Review who meticulously examined each project in accordance with the AR Future Projects standards. 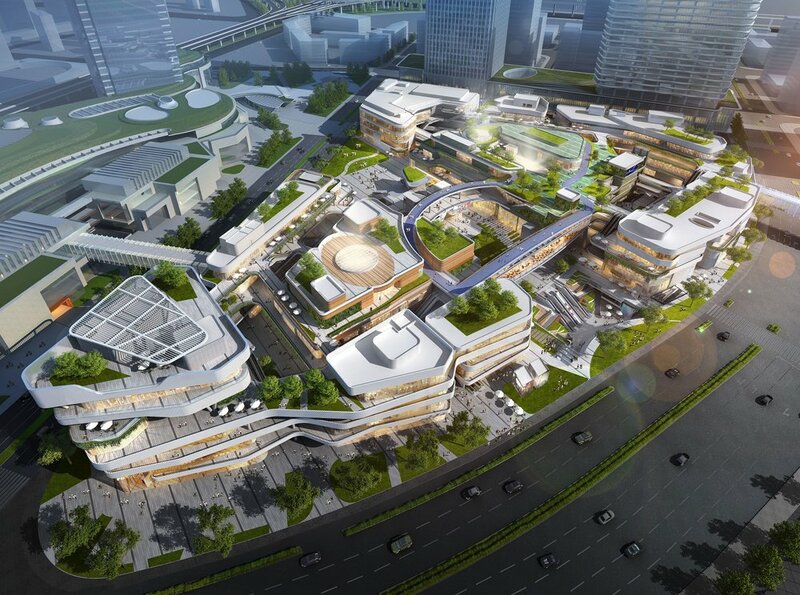 Taikoo Li Qiantan will boast a gross floor area of approximately 1.3 million square feet (120,000 sqm) of retail offerings that will become the retail centerpiece of an integrated commercial, residential and cultural hub with major public transit inclusion. “Taikoo Li Qiantan manifests a vision of amenity, wellness, lifestyle, and community, within a new district that is sure to become a must-see destination in one of the world’s most dynamic cities. We’re very honored to receive this award and to be recognized for such a dynamic design,” said Michael Ellis, Managing Principal of 5+design.